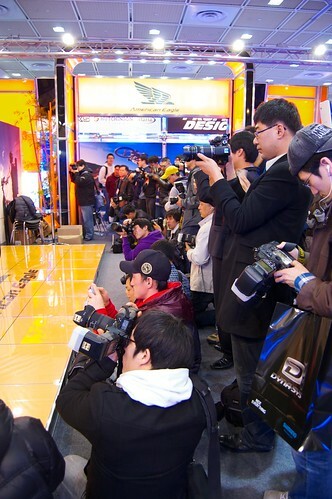 The Seoul Bike Show takes place usually every March in Seoul. I had been wanting to attend this show since I live in Seoul, but was not able to do it until this year. 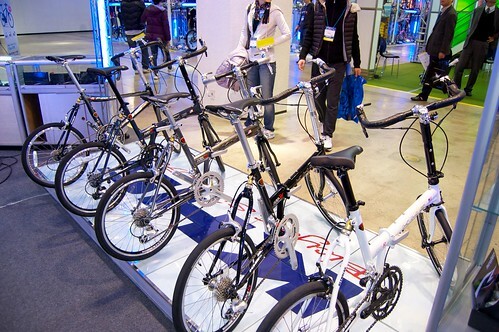 Undoubtedly folding bicycles were the most prominent kind of bicycle at the fair. Since I came to Seoul its presence has been increasing an today I would say they are the most common kind of bicycle used by people living in Seoul, a city where space at homes is something very valuable. 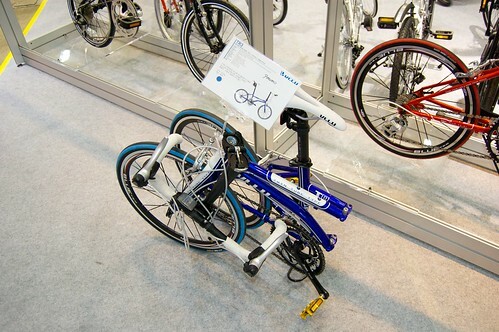 One of the folding bikes, folded. If you don’t like titanium components because of their dull color (I love it by the way), don’t worry. 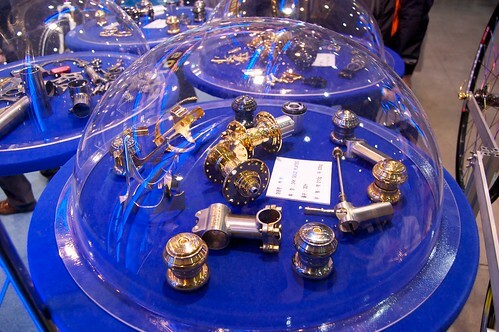 This company makes gold-plated titanium components (no-kidding, really gold-plated). Taxis in Seoul are popular because they are equipped with GPS since several years ago. 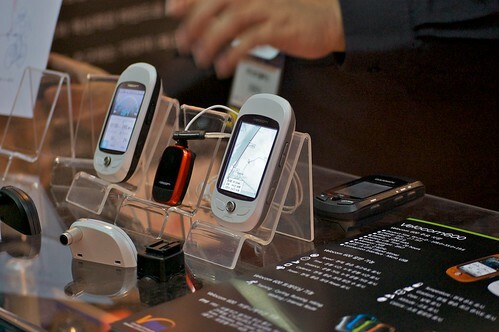 Now bicycles can also have these devices. 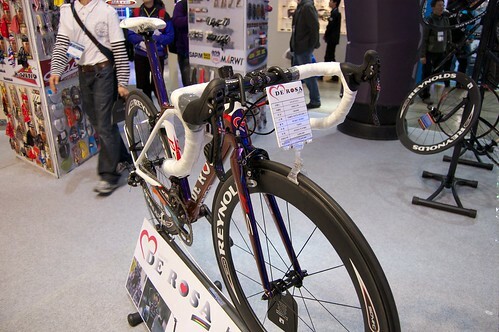 This was the most expensive bike I saw in the exhibition… 15 million won (around 13,000 USD) for a true piece of work by De Rosa. 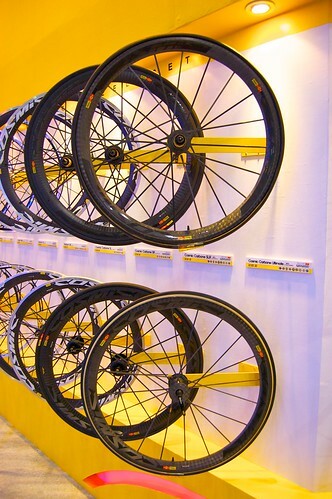 The whole family of Mavic wheels for road cycling. The top set was priced at 5,2 million won (4,800 USD). These bikes with fixed gears (a.k.a. 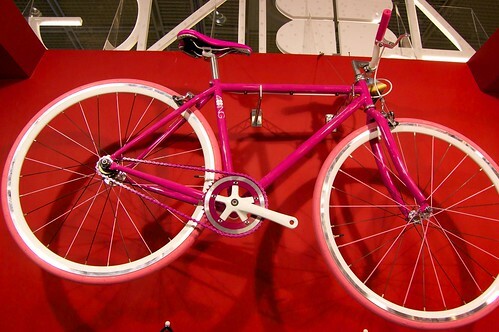 “fixies”) are also quite popular these days. They are usually painted in very live colors (I’m sure many Korean girls would love this one). 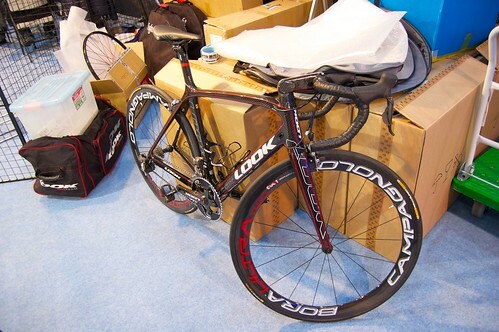 Not having a free wheel make the bike lighter and cheaper, and require less maintenance. Some of them don’t even have brakes, as you can brake just by stopping pedaling.